The Richland Tealight Candle is a self-contained, versatile little candle. It's efficient and very inexpensive . 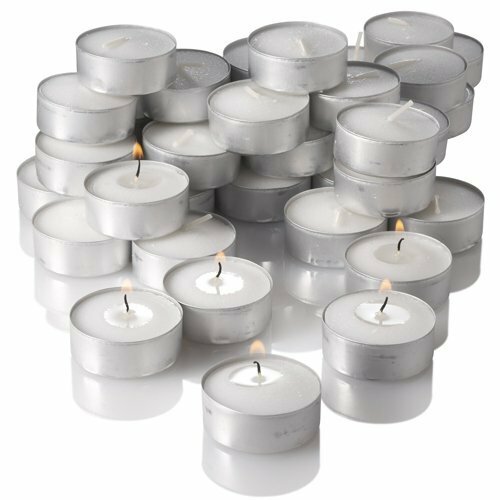 The Tealights featured here are compression molded and set in aluminum cups with 100% cotton wicks. Richland Unscented Tealight Candles are perfect for weddings, restaurants and parties. They can be used in potpourri burners, food warmers or any standard Glass Tealight Holder. Use them every day. Size: 0.5"(H) x 1.5"(W). Burn time 4-5 hours each.